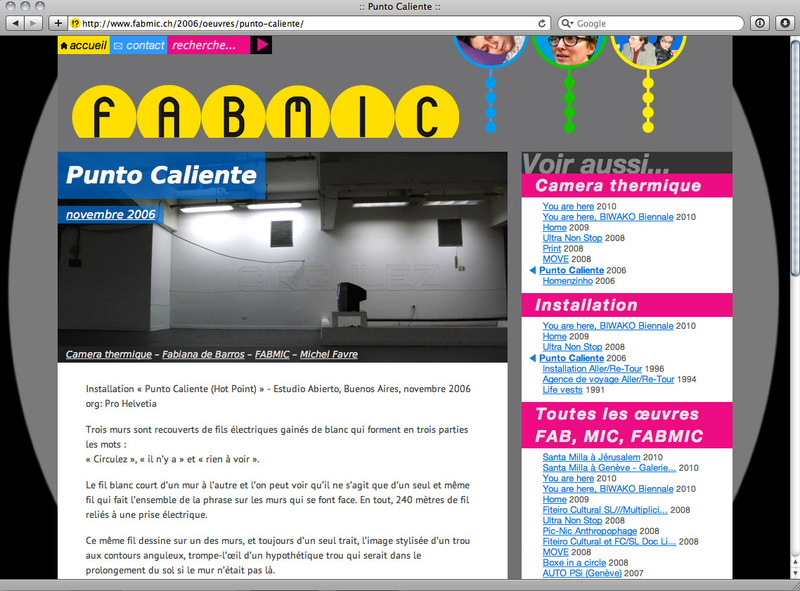 A website for artists Fabiana de Barros and Michel Favre. Running on the WordPress content management platform. 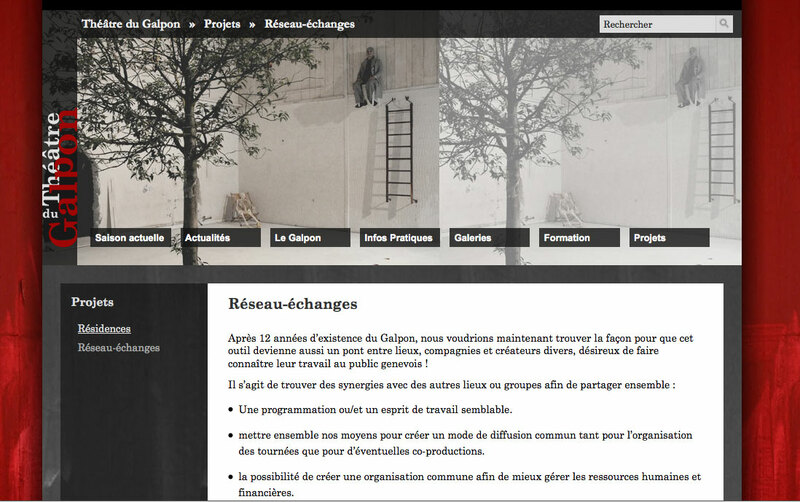 Website design for Théâtre du Galpon (Geneva). Running on the SPIP content management platform. 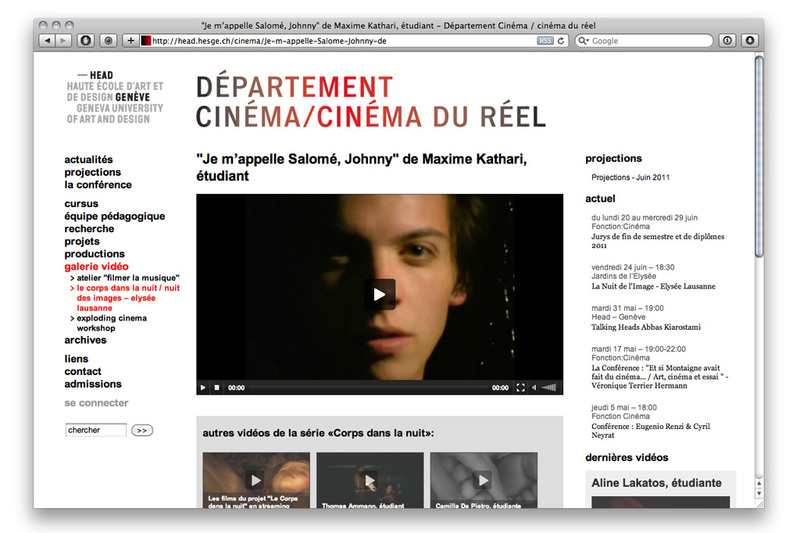 Website design for Option Art/Action, University of Arts Geneva. Build with the SPIP content management platform. 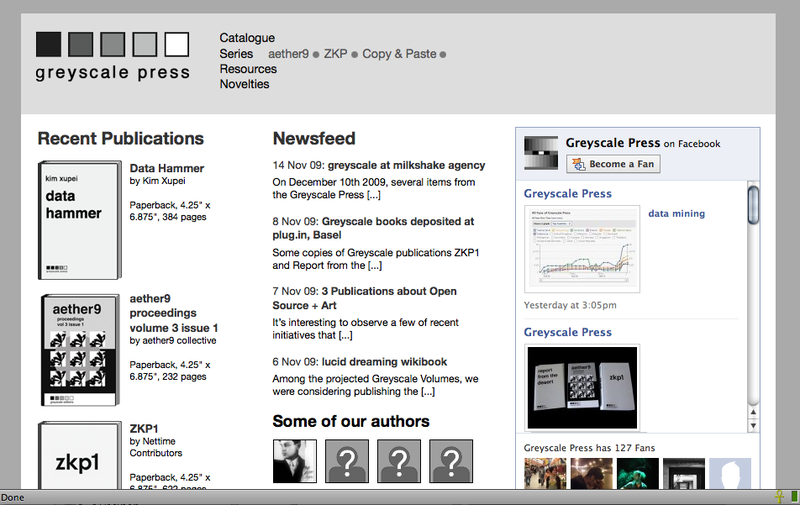 Website for Greyscale Press, an experimental web-to-print publishing project I am involved in.